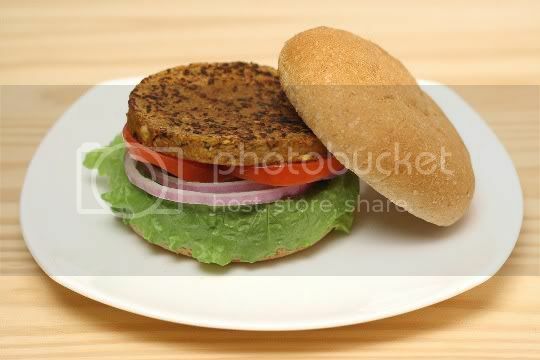 This is Sol's basic vegan burger. It's a little bland on its own, although I do appreciate the slight peppery flavor. On a burger with all the fixins, it's great. The texture is a little loose, but still meaty and chewy and what you'd be looking for in a burger. 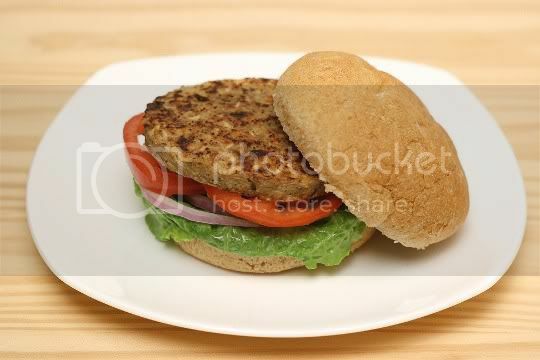 Of all the veggie burgers that exist in the world, the black bean variety is one I've never really been a fan of. You know, if I want to be eating a burger, I want it to taste like one. But what I like about Sol's version is that it tastes healthy and non-processed. You can taste the slightly bitter roasted cumin flavor and the heat of chile powder, and there are even bits of whole beans and corn kernels throughout the patty. Like the Original Burger, it's a bit bland by itself. The texture is a mix of chewy meatiness and mashed beans, but this is another burger that's transformed once it hits the bun. I wasn't sure I would like this burger, as I have a love-hate relationship with mushrooms. But to my surprise, the mushroom flavor isn't overwhelming, which I love! Unlike the previous two burgers, this one is very well seasoned. I could taste lots of different spices, nothing I could immediately pinpoint, but it was slightly salty, pungent, and peppery. 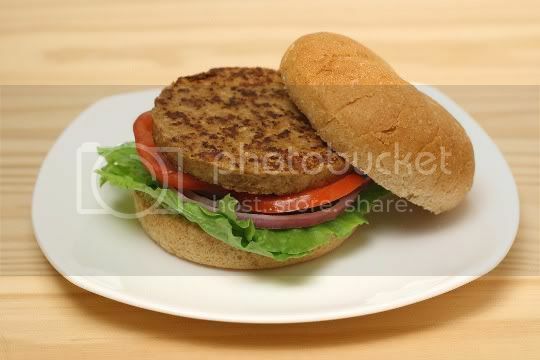 The meatiness of the burger is mixed with a softer textured rice, but it holds up nicely. Overall, this reminded me of the veggie patties that are available at Subway. I'd buy these again. Last but not least in the burger category comes Almond Grain. Again, a huge surprise. I wasn't sure what to expect from this as far as flavor and texture, but I was pleased with both aspects. In fact, I'd go so far as to say this is the best tasting of the bunch. 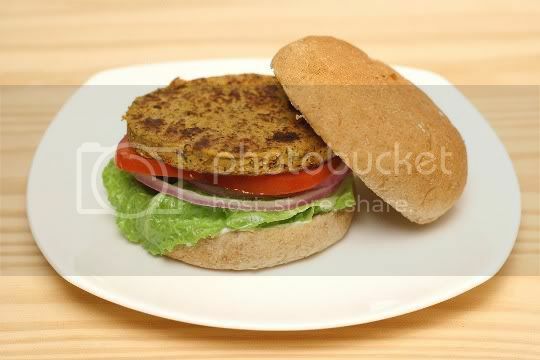 It's the only burger that doesn't have a meaty texture, but instead has crunchy grain and seed bits. It's very well seasoned and savory, with lots of parsley and tomato flavors in the background. I'd definitely get these again, and I think you could get very creative with burger toppings here! 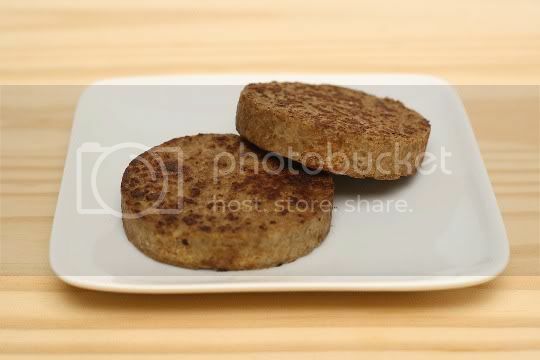 It's surprisingly difficult to find all-vegan breakfast sausage patties. The most commonly found in supermarkets are vegetarian, and Yves makes a good one, but they can be hard to find. I've spotted these patties, however, at every Whole Foods I've been to. And they're very tasty. The texture is good: hearty, meaty, chewy. I'd recommend baking them to best achieve a cripsy texture, but a quick pan fry works well too. Aside from being a little too salty, they have a nice sage flavor with a tiny bit of heat in the background. These can easily become a reliable breakfast staple. The best thing I appreciate about these falafels? They come with a premade sauce! It's the little things. While these aren't authentic falafels in preparation, they definitely are in taste. True falafels are made with dried ground chickpeas, whereas the texture of these resemble more of a cooked mashed chickpeas. As a result, they can be a little mushy, so similar to the sausage patties, I think oven-baking is best to achieve crispiness. 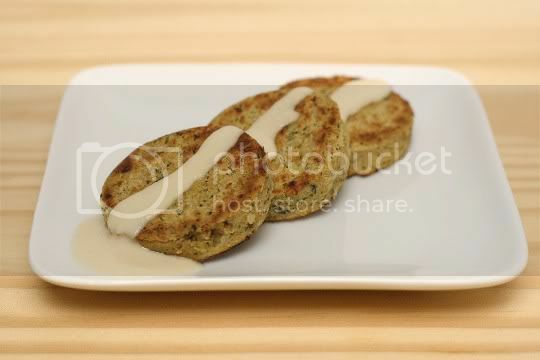 All that aside, these little falafel cakes are super flavorful and tasty. There's a strong mint and cumin emphasis, and the simple bitter tahini sauce is a great combination. If you're looking for a quick falafel fix or a great party food, stock up on these! Great review! I live in Canada and the tofu ribs are readily available at our whole foods here. To be honest, (as I finish my plate of tofu ribs), although the texture is rib-by which is nice, the flavour of the tofu itself leaves a little to desire. If you load on the BBQ sauce they are great though! 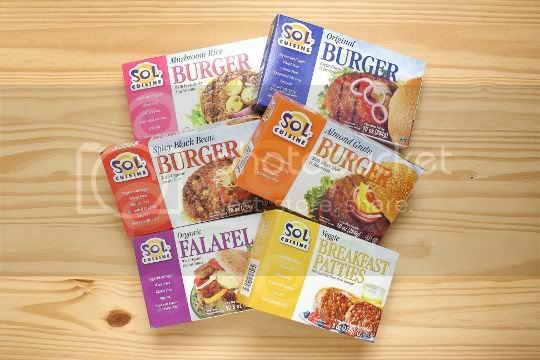 You should try the sol curry vegetable burger patties. YUM ! I agree with the other reviewer. Sols "Tofu Ribs" are essentially just chunks of firm tofu in barbecue sauce. They taste like tofu, and not like ribs at all.